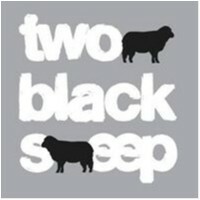 Two Black Sheep Cafe joined our Mission to help provide access to “Clean Water for All by 2030”. This Mission was initiated by the United Nations. A big thank you to Two Black Sheep Cafe’s team and customers for joining this extremely important mission on 29 March 2018. Two black sheep is the premier destination for coffee in Sydney's CBD. Located on the south side of Town Hall Station under the corner of George St & Bathurst St, we pride ourselves on quality coffee, great service & not taking life too seriously.